The search led Anita Bloomfield to the woman's husband in Mississippi, but the woman's daughter, an LIer, now has the remains and plans to scatter some of them in the ocean. Anita Bloomfield is used to finding plastic bottles and pieces of wood washed up on the small beach at the end of Massapequa’s Alhambra Road, which fronts a cove off South Oyster Bay. Last week she spotted something different: An urn inscribed with a woman’s date of birth and date of death. Inside the urn, Bloomfield found a plastic bag filled with ashes. That led Bloomfield on a search for the woman’s family. 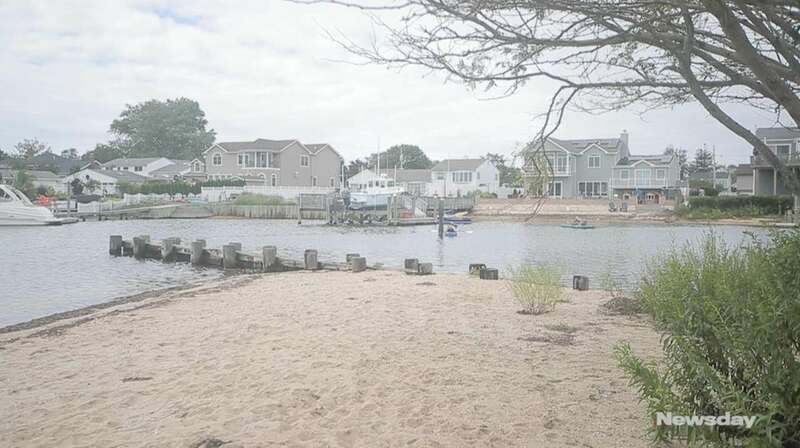 After saying prayers at the beach for the woman, Bloomfield tracked down the Massapequa home where the woman and her husband had lived and, after seeing the house was empty, knocked on neighbors’ doors for clues. After an acquaintance of the man gave her the widower's cellphone number, she finally located him by phone, in Mississippi. The man told her he had asked a friend to scatter his wife’s ashes off Jones Beach about a month ago, after he had to quickly depart from his home as it was being foreclosed, Bloomfield said. He left the urn and almost all his other possessions behind. The man said in a brief interview that when Bloomfield told him what happened to the urn, “I was very upset. I thought I could have had some closure to this.” He asked that he and his wife not be identified. The woman died in 2013 at age 59. Bloomfield had called police after she found the urn and an officer went to the beach to pick it up. Nassau County Police spokesman Ken Ludewig initially said police first needed to test the ashes to verify they are human before releasing them from police custody, but he said on Wednesday that an officer delivered them to the deceased woman's daughter on Sept. 12, the same day Bloomfield found the urn. The daughter, a Long Island resident who declined to be identified, said that her mother loved the sea and that she planned to scatter some of her ashes in the ocean. Bloomfield said she is "glad she's with her daughter" and was happy to try to reunite the ashes with the woman's family.